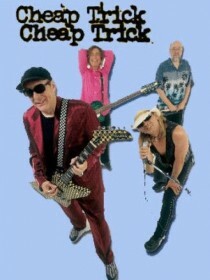 Cheap Trick is an American rock band from Rockford, Illinois, formed in 1973. 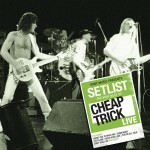 The band consists of members Robin Zander (lead vocals, rhythm guitar), Rick Nielsen (lead guitar, backing vocals), Tom Petersson (bass guitar, backing vocals), and Bun E. Carlos(drums, percussion). Cheap Trick created a substantial fan base through its own brand of power pop musicwith a hard-edged yet melodic pop sound that combined the catchiness of The Beatleswith the speed and energy of punk rock.The Los Angeles Times has remarked that "Cheap Trick gained fame by twisting the Beatlesque into something shinier, harder, more American." Their biggest hits include "Surrender", "I Want You to Want Me", "Dream Police", and "The Flame". 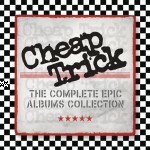 Cheap Trick also performed a cover version of Big Star's "In the Street" as the theme song for That '70s Show from the second season onward and the theme song "Baby Muggles" for The Colbert Report. 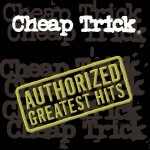 As of 2009, Cheap Trick continues to tour with their most well known lineup. They have often been referred to in the Japanese press as the "American Beatles". 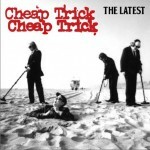 In October 2007, the Illinois Senate passed a resolution designating April 1 as Cheap Trick Day in the state. The band was also ranked #25 in VH1's list of the 100 Greatest Artists of Hard Rock.